If you haven't visited the room yet, we've got all the information you need to make it a regular part of your apartment life! Watching the big game or a new release is easy on our projection screen. Our media and games room lets our residents gather together and watch what they want on a large screen. They can even book the room for private viewings and have their own viewing party! To give everyone a great view and a comfortable place to relax, the room features plenty of plush leather chairs and couches. Plus, if the sun is getting in the way of the screen, the built-in blackout curtains will improve the view by keeping out the glare. Love playing video games? Bring your game console and hook it up to our projection screen and enjoy playability that you can't get in your apartment. Invite friends or other residents to join your game and have a blast all day! You can even hook up your laptop and view digital movies. Watching sports and movies or playing video games isn't the only fun to be had here. 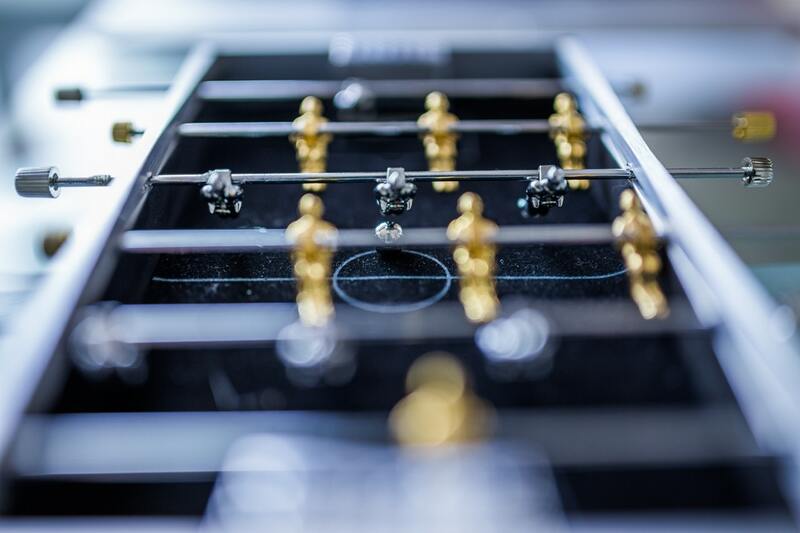 Residents can get competitive with our bubble hockey table, challenge a friend at the Foosball table, or gather to play cards and chat. We recently moved our Ping-Pong table into its own room, so residents have more space to play and don't need to worry about disrupting others. Park Property Management hopes all our residents get the chance to stop in an enjoy some recreational fun. And remember, no matter how you plan to spend your time in our media and games room, you can enjoy free guest Wi-Fi while you do it!